Science Day for Elementary School pupils in T.U.C. This plywood installation has just been installed in the foyer of the Centre of Mediterranean Architecture (CMA). 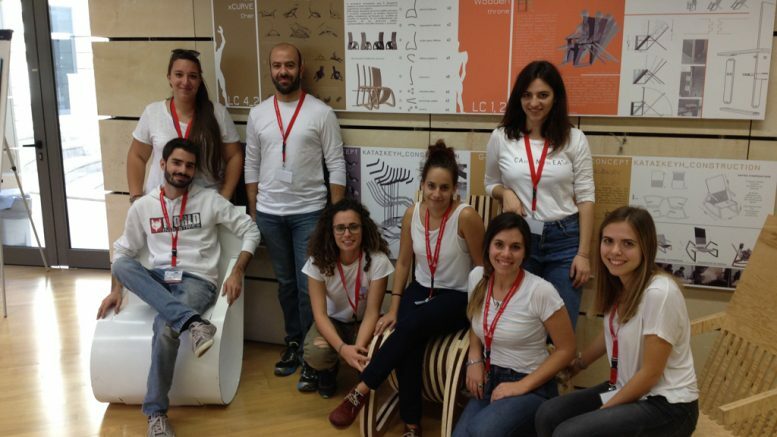 It was created by Eleni Mougassi, with the support of the Digital Fabrication Laboratory. 15-3-2015: Publication of article (pp 79-88) by A. Vazakas about the research results on construction based on composite aluminium sheets, open and parametric design.